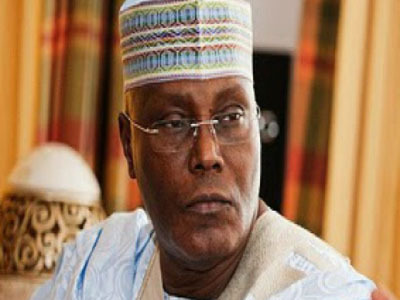 THE All Progressives Congress (APC) said yesterday that the plan by the Peopleâ€™s Democratic Party (PDP) presidential candidate Alhaji Atiku Abubakar to grant amnesty to those who looted the nationâ€™s commonwealth has vindicated its stance that the PDP candidate is only interested in returning the country to the era where sharing of national wealth was the order of the day. The APC Presidential Campaign Council also attacked Atiku and his running mate, Peter Obi, for engaging in what it described as bare-faced lies and dishonest claims when they appeared on a national television programme, â€œThe Candidateâ€ on Wednesday night. The ruling party said the PDP candidate did not hide his intention to give a red carpet to those people who â€œwickedly teamed upâ€ with the PDP to ruin the country, adding that Nigerians must rise up to resist such move to return Nigerian to Egypt. Its National Publicity Secretary, Mallam Lanre Issa-Onilu, who spoke at a news conference in Abuja, said the promise to grant amnesty to looters meant he was not interested in the fight against corruption, but planning to put the destiny of millions of Nigerians in the hand of the same people that worked so hard to impoverish them. Issa-Onilu said it was clear that Atikuâ€™s presidential bid was not to serve the country, but the interest of his friends and foreign concerns and interests. He added that he was only interested in selling off national assets the way he did when he was National Council on Privatisation Chairman. The APC Spokesman said: â€œIn the aftermath of Wednesday nightâ€™s televised town hall meeting, â€˜The Candidatesâ€™, attended by the PDP presidential candidate Alhaji Atiku Abubakar and his running mate, Mr. Peter Obi, a redefinition of their presidential campaign slogan, â€œLetâ€™s loot Nigeria againâ€ is now trending heavily in the social media. â€œGoing by Atiku and Obiâ€™s shocking confession that their administration will grant amnesty to looters, we are equally shocked and hereby align with the wide-section of Nigerians who are now abundantly clear of their intentions, if elected and now see the collective need to stop them. Also, the APC Presidential Campaign Council spokesman Festus Keyamo, in a statement in Abuja, said simple fact checks revealed that several claims by the PDP candidate and his running mate were nothing but a tissue of lies. Keyamo said Nigerians should take note of Atikuâ€™s definition of corruption as â€œthe use of your privileged position to either enrich yourself or enrich your relatives or even your friendsâ€. He added: â€œWhen this is juxtaposed with his earlier statement in Lagos, that he will enrich his friends, if he becomes President, we can safely conclude that he will be fully in the business of corruption, if he becomes President. â€œAtiku/Obi made it clear to Nigerians that conflict of interests as a public servant should be the norm as, during their tenures, they found absolutely nothing wrong then and today, with investing public funds in enterprises they own or their families own. For instance, Kadaria ran Peter Obi into a ditch when she asked him if his family was not enriched as a result of using public funds for his family business â€˜NEXTâ€™. â€œTheir claim on experience in running anything public or private cannot stand any act of scrutiny. The presidential candidate, who is easily a major contributor to our huge unemployment problem today as a result of his corrupt privatisation programme, counts this failure as a huge experience and wants to repeat same if elected. â€œTheir proposed Agriculture Programme which they claim to have put together to lift majority of the people out of poverty is a version of what is already being implemented by the present government under the Anchors Borrowers Programme and the Government Enterprises and Empowerment Programmes. Keyamo listed some of the lies he claimed were told by the PDP candidate and his running mate during the broadcast programme.